Money and love. Two essential things that can sometimes taste sour when mixed together. But we think it’s all about the recipe. How you handle money with your partner can be the make or break for your relationship. Cracks can be the cause of seemingly small decisions, for example, you may want to buy that lavish delicious-smelling candle, but the expense could pay half your rent, so your partner may not be as keen. No matter how healthy the relationship is, when money is poured into the mix, things can get messy. So, before you jump into your lovenest with your partner, it’s best to have a game plan before inevitable fights about money begin. Entering a committed relationship is an exciting step, and it’s the happy picture most people have in mind when swiping right. Cute dates, romantic moments and loving memories suddenly become a commitment and combined finances. It’s a beautiful step, but when you hang up the dress, unpack all the furniture, you’re left with that topic you never really talk about: money. We’re not just talking about who pays which bills, but what you’ll do if you ever get into a pickle and… debt. Facing money issues together can lead to a closer, more trusting relationship. And who doesn’t want that? But crossing the bridge can take time and careful consideration and perhaps a few candid disagreements. So, how about starting an open conversation about how you’re going to spend, look after and save money, together? Typically, first date convo’s don’t include exchanging money management styles. However, considering that 73% of individuals differ from their partner’s money ideals, perhaps it’s time work it into your dating profile. In a committed, long-term relationship there are a few, somewhat difficult, conversations you will embark on. And as a small lending company, we certainly agree! Talking about money is the first step to solving possible future issues you and your partner may come across. Millennials have no doubt redefined the dating sphere, creating and cultivating an easy online space for dating. So, not only do millennials date differently, they treat money differently too, especially in relationships. 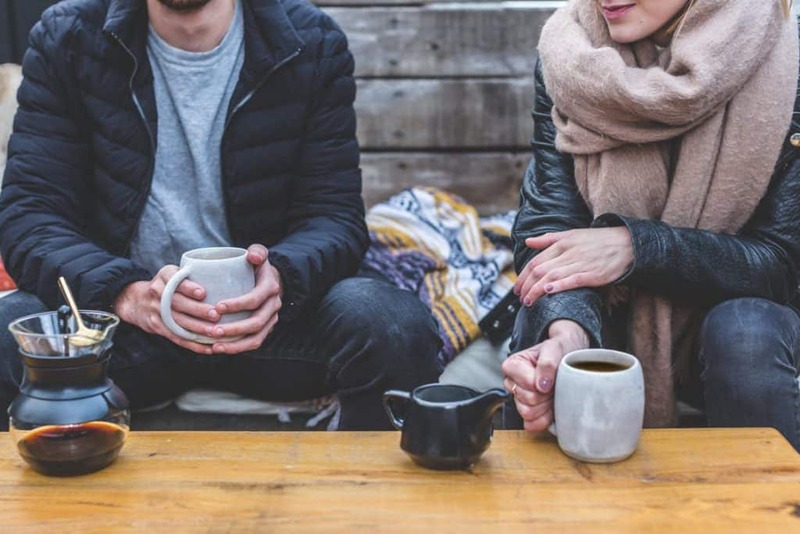 In a survey conducted by TD Bank in June 2015, 83% of millennials believed their partner overspent in some ways, compared to 63% of all other participants. So, the million dollar question is, do millennials talk more about money than their predecessors? And the answer is yes, they do and some believe it’s making them happier. According to a TD Bank survey, three-fourths of millennials couples talk about money on a weekly basis! That’s higher than both Gen X couples and baby boomers. Couples who discuss money weekly report being happy in their relationship. So, the kids are teaching us that it is possible for money and love to make the perfect combination. We know that talking about money makes for a stronger relationship, now let’s look at how to actually talk about money because we know all it can be a touchy subject. Let’s dive straight in! First on the agenda is exchanging money aspirations. Ask questions like, where do you see yourself in 5 years? How does money help you achieve your endgame? Questions about your money goals is a great place to open up a frequent and truthful conversation about money. Discussing goals will set the pace for future discussions, and will help you understand your partner’s money decisions. Schultz believes if you have trouble beginning a conversation about money then it makes sense to start with financial goals for the next 3 to 5 years. Goals reinforce a more positive vibe around your collective approach to money as a couple. Budgeting and spending habits can come after. If you find yourself having a hard time committing to money talks, you’re not alone. So, rather than thinking ‘out of sight, out of mind’ schedule a weekly convo for you and your significant other. Commit to the time to discuss how you’re feeling about money personally and in the context of your relationship. Both are equally important. If you still find it hard to commit, make your appointment official and chuck it on a shared calendar. Keep yourself accountable and talk the talk. In the midst of talking about the tangible stuff like budgeting and spending expenses, take some time to talk about money views. Set aside some time to talk about how you feel money, and what you’ve been taught in the past. Did your family ever talk to you about money? Do you see money as negative or positive? Is money the only thing that drives you? Diving into your partner’s money psyche will really help you get to know your partner’s money quirks and the reasoning behind some of their money decisions. Start off with a list of joint expenses that you can both agree on. Crack open a few cold ones and get down and dirty…with pen and paper. Begin your list by noting down each joint expense in your lives – groceries, meals out, rent, utilities, Netflix subscription – all the important ones. Then, figure out (reasonably) how much you’ll spend each a month or a week depending on when you both receive your payback. Now, already we hit a hiccup. What if one of you gets paid monthly and one fortnightly? That’s when compromise comes to the table. And, yeah, you’ll be needing those beers now. Once you’ve completed the basics, it’s time to level up. Start talking about expenses that are particularly important to you. Like maybe you’d like to include a monthly donation, so you can both discuss a charity you can support as a couple. Before jumping into designing your monthly budget, make sure you each know the other’s high-cost priorities. Like if you just cannot handle that lumpy old mattress, make sure your partner knows! Then, work it into your budget. It’s all about communication. The next step is a joint account. It’s time to officially join your expenses and wish them luck in holy matrimony. Use your joint account to pay for joint expenses, easy right? Well, it’s a bit more complicated. You can either choose to combine all your finances, or just enough to suit your joint budget. So, before you begin to start on your joint account journey, determine how it will work, how much you both need to deposit each week/fortnight/month. When you start your joint account only use it for the agreed upon joint expenses. Avoid using it for sneaky personal expenses, because you know how that’s going to end – badly. Now the ‘account’ doesn’t have to be an official bank account. A mason jar by the door is good enough! Whatever is easiest for you and your partner, because that’s what will work best for you. Sometimes money can get you down. That’s fair, we’ve all been there. So, make sure you and your partner set aside a little treat yo self money to maintain morale. Once a month, pick your favourite treat, whether it’s a relaxing trip to the spa, a fine dinner to stimulate your taste buds or whatever tickles your fancy. Just invest money in you. Don’t just budget it away, because you’ll find it much harder to stick to your budget and actually save money. Setup a system to keep yourself and your partner accountable for your spending. There are plenty of apps to help you and your partner keep track of spending, and hold each other accountable for purchases made with the joint account. To keep you and your partner on the same team, create big goals together. Find something you both love and want and then work together to save up for it. Also, by committing to a big financial goal you both want, it’s an investment in the relationship and reaffirms your commitment. If you find yourself ordering UberEats one too many times, then perhaps it’s time for an economic shutdown. The purpose of an economic shutdown is to only spend money on things you absolutely need. So, yes, that pizza you order at 10 pm will definitely get axed. Think of contributing to your savings account like tipping. Give 10% to your future self for all the hard work you’re doing now. Trust us, your future self will thank you! When it comes to money, the key is communication! Sort out your money goals with your partner and make it a priority to understand each other’s financial situation. Be respectful of each other’s philosophy and get past the seemingly awkward conversations, so talking about money becomes normal!